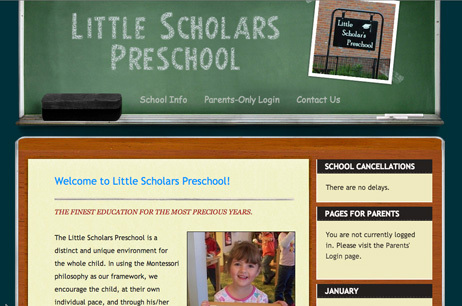 The folks at Little Scholars Preschool didn’t want a plain-Jane website, but they also didn’t want an overly childish design full of primary colors and kids’ handprints. So, based on an existing WordPress template, I developed this site to accomplish their goals. In addition to the unique design, I also incorporated a few special features like the Parents-Only area. This special section is password protected so that details about students and events can be presented without a concern for the children’s safety.